This photo was taken at Monkey Beach in Phuket. You guessed it right. It got its name from the monkeys hanging around. From the big boat, we used a kayak to get to the beach. 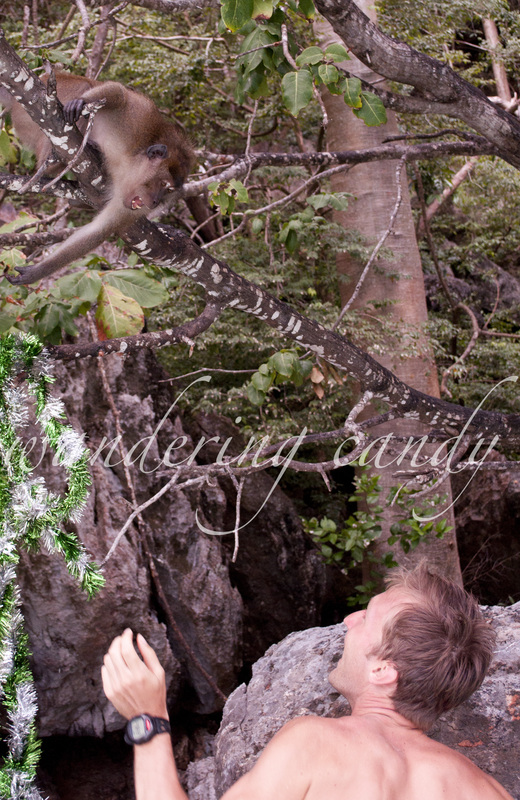 Most of the tourists take pictures, like me, and others give food to the monkeys. Here, the monkey wants more food from the man below. They are pretty sneaky and can grab your bag of food in a flash if you’re not watching. This entry was posted in Asia, Thailand and tagged Asia, monkey, Photography, Phuket, Thailand, Travel by wanderingcandy. Bookmark the permalink.